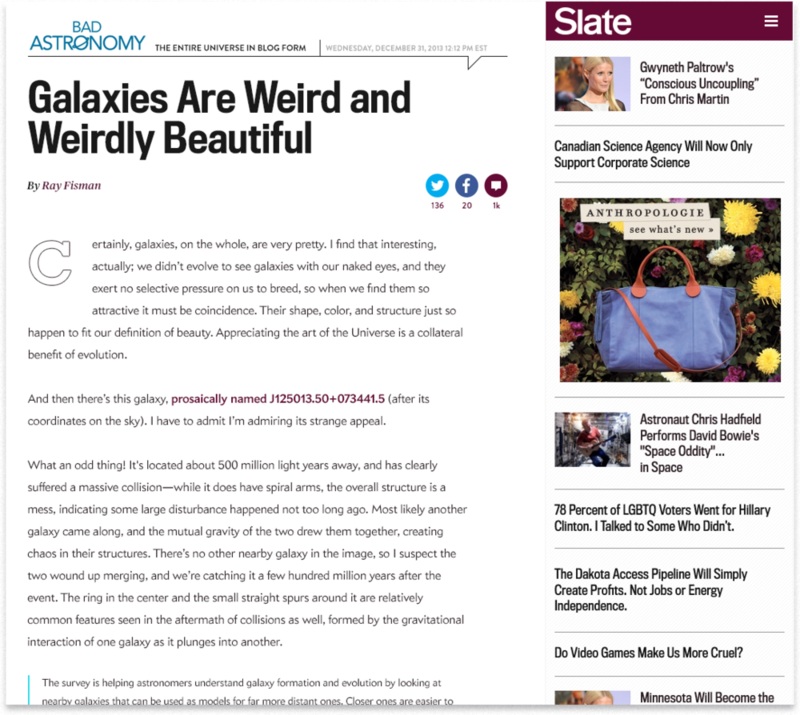 Slate is one of the original digital-first publications, and their often contrarian voice has helped shape their identity over the years. We designed a site that would communicate that attitude while still embracing what it meant to be a vibrant, lively periodical on the internet in the 21st century. The site's new language included their first use of web fonts and a new highlighter yellow to stand boldy beside their signature plum. The result was an experience you couldn't ignore. RESPONSIBILITIES: Creative Direction, Art Direction, Content Strategy, Interaction Design.